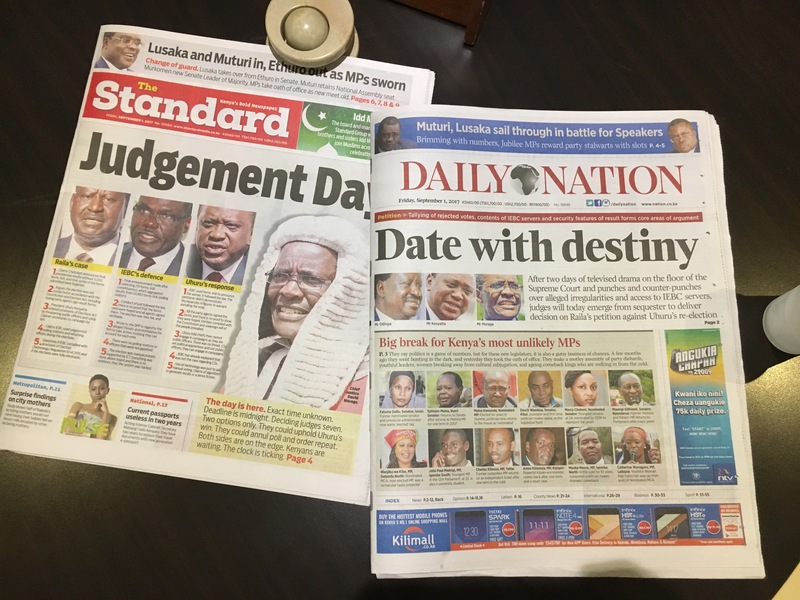 The Kenyan Supreme Court nullified the presidential election results today. After a bit of shopping at the market, I headed early to the airport to avoid issues with crowds on the roads. This entry was posted on September 1, 2017 by shannonleebanks. It was filed under Photography .